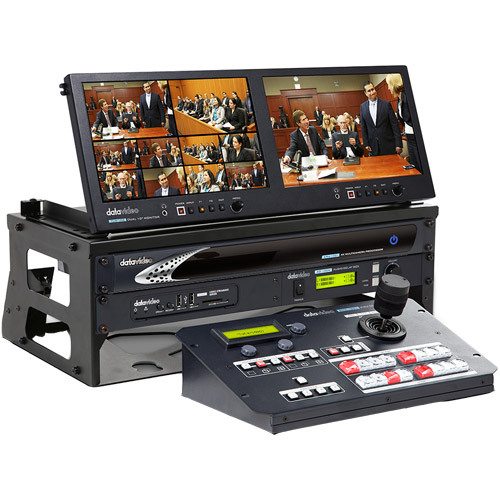 The GO KMU-100 Studio is a complete workstation that converts two 4K inputs into eight HD shots with integrated video tracking, switching, audio mixing, voice synchronization, video encoding, recording, streaming, and video monitoring in one. Now, you only need two 4K cameras to capture eight HD video shots. Datavideo's GO KMU-100 Studio allows you to pick 8 screens within the 4K image using an easy-to-use control panel with joystick. The real-time video screens can be used for on-site monitoring, streaming, and recording. Those sources can then be saved onto an SD card or USB drive. Datavideo’s all new KMU-100 is a unique 4K multi-camera production solution that delivers multiple virtual full HD (up to 1080p) scaled camera angles with minimal installation cost and simple operation. The basic concept is straightforward: The output of a single 4K/UHD camera is connected to KMU-100, which then displays up to four 16x9 user-defined cropped windows that are sent out as four separate HD signals through HD-SDI. These user defined windows can be scaled to zoom in on a particular subject that you would like to highlight on the 4K signal. As an option, the Datavideo RMC-185 controller can be added to easily pan, tilt, and zoom to create the user defined windows on the 4K signal. You can set up these shots in advance and save them as presets, or you can do it in real-time. 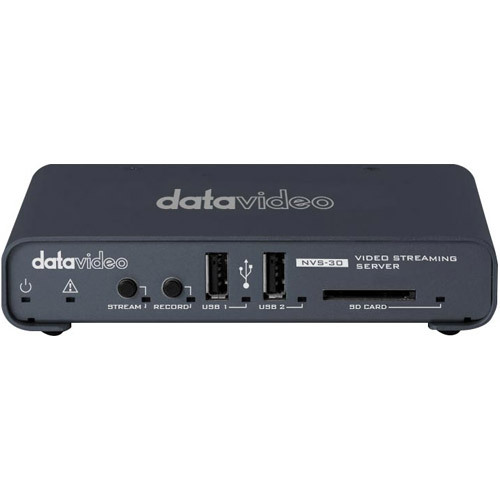 The NVS-30 is a small and portable video streaming encoder and recorder. This device is designed specifically for simultaneous encoded video streaming and high quality video recording. The NVS-30 accepts any HDMI input source (such as camera or switcher) and streams the input video directly for broadcast to YouTube, Facebook, and other live streaming platforms. 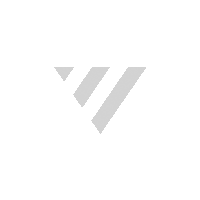 The NVS-30 generates an RTSP or RTMP compliant H.264 encoded video stream. While streaming, you can record the video in MP4 or MOV file format on an SD card, USB thumb drive, or a network drive simultaneously. You can also use a web browser on the PC or mobile phones to control the device from a remote location. 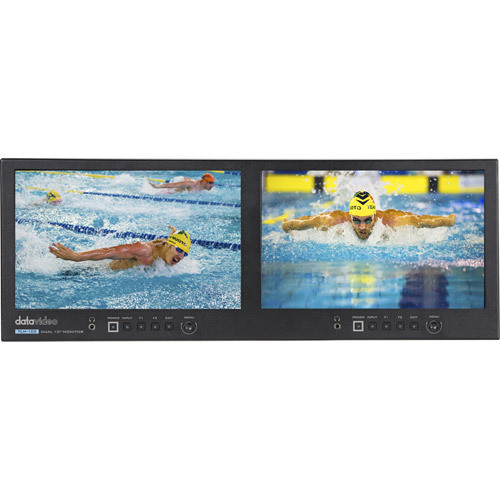 The TLM-102, Dual 10.1” 4RU Rack mount monitor, is a broadcast quality monitoring system with built-in vectorscope/waveform monitor and video signal converters. Each monitor has one SDI input and one HDMI input. Each monitor also has one SDI output and one HDMI output. Built-in signal conversion allows each monitor to use one input for monitor display and the other input for signal conversion. The same can be done simultaneously with monitor 2. 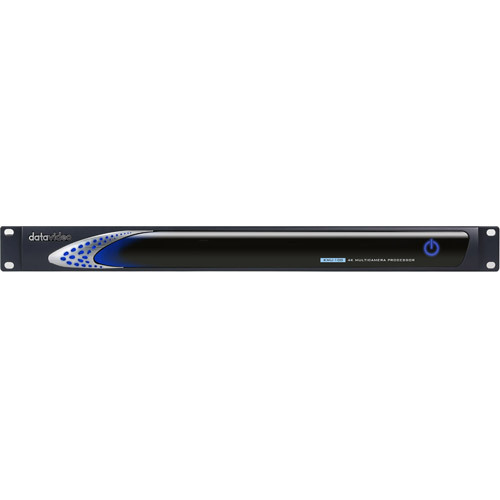 The 4RU rack mount design offers various of mounting methods for on-site monitoring, video wall and video production vans. Excellent display with advanced auxiliary functions also provides viewing & friendly user experience. TLM-102 pairs perfectly with the SE-500HD Video Switcher for multi-view monitoring on the left side and program output monitoring on the right (or vice-versa). 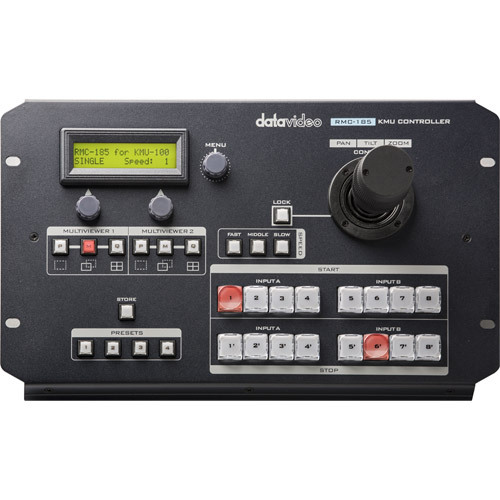 Datavideo AD-100M is an easy-to-use audio delay box with 1 Microphone input that allows you to synchronize audio/Mic to video. The unit features RCA (phono) connector as well as XLR type connection. Built in a rugged metal housing for use in the field or studio.